Found this card on Pinterest from Goin' Over The Edge blog and changed it up a little. I offered this card in one of my classes and the ladies just loved it as a wonderful masculine card. No wonder they loved it, as it´s a very very beautiful card and just perfect for a male. 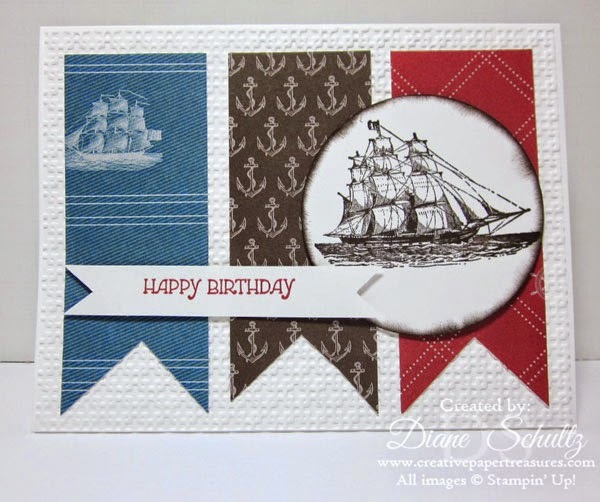 I love the bpatimage too and also the maritime papers are just beautiful. Awesome work once again sweet friend, TFS it here. Hope you´re having a wonderful christmas now with all your loved ones around.